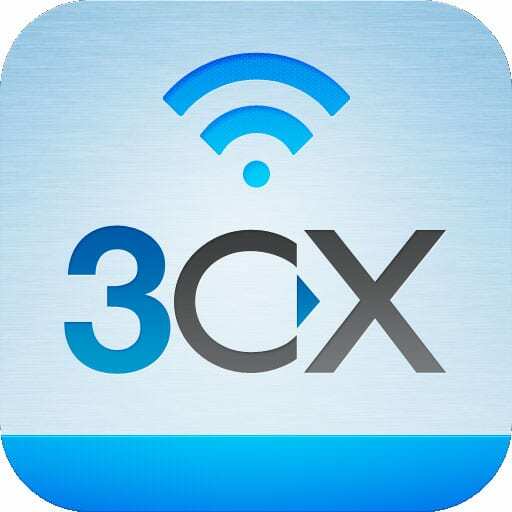 3CX announces a new version of its Microsoft Windows-based software PBX, 3CX Phone System for Windows. Version 14 includes a number of improvements for users and administrators, but primarily, the new release introduces a wholesale hosted/cloud offer for 3CX channel partners that can be sold as a monthly or yearly subscription service to end customers. The new 3CX Cloud PBX Server is designed for Managed Service Providers (MSPs) and Value Added Resellers (VARs) that want to support multiple customers using 3CX in the cloud. A multi-instance implementation allows for up to 25 virtual instances of the 3CX software to be installed on a single Windows Server – a significant advantage to partners in terms of cost and management. Perhaps even more importantly, with V14, 3CX partners can now offer their customers the deployment (hosted/cloud or on-site) that best meets their particular business challenges. This includes hybrid arrangements for multi-site customers, with on-site systems deployed at some locations and utilization of hosted/cloud services at others. More on the hybrid cloud opportunity below. 3CX first introduced its Phone System for Windows in 2006 as a software-based, open-standards telephony solution and a cost-effective alternative to traditional proprietary PBX hardware. 3CX software fits well into a company’s existing IT infrastructure, including virtualized environments since the software can be installed along with other applications on an existing Windows machine or on a virtualized server running Hyper-V or VMware technology. The system has been tested with, and pre-configured for, a large number of third party SIP Trunking services, SIP telephones and VoIP gateways that support the SIP standard. Today, 3CX has offices in the US, UK, Germany, Hong Kong, South Africa, Russia and Australia, serving some 30,000 customers worldwide (one million users), including Boeing, McDonalds, Harley Davidson, Pepsi and other major corporations. 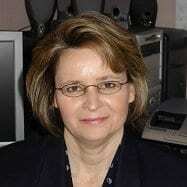 3CX is a 100% channel company. 3CX Phone System for Windows has become known for its all-in-one functionality, advanced feature set and affordability for small and mid-size businesses (supports up to 1,024 simultaneous calls per license). Advanced Feature Set. The software enables all popular business features such as call transfer and forwarding, audio conferencing and call recording to name just a few, but also includes more advanced features at no extra cost like voicemail-to-email notification, presence status information, Web meetings and mobile phone integration – all standard with either of the 3CX user packages, Standard or Pro. Integrated Mobile Clients. Users can download the mobile client application and softphone for iOS and Android mobile devices, allowing the mobile device to function as a business telephone and displaying the user’s office extension in the Caller ID for ‘single number reach’ whether the user is in or out of the office. Client applications are also available for Windows PCs and Mac computers. Built-in Web and Video Meeting Capability. 3CX WebMeeting is a client-free web conferencing solution that leverages WebRTC technology to enable one-click conferencing, meeting recording, remote control and screen sharing. Pricing is based on the number of concurrent meeting participants (10, 25, 50 or 100), and the solution can be deployed as an on-site server or accessed as a hosted service. A 10-user license is included free, and currently, a 25-user license is free for customers with a valid maintenance agreement that upgrade to V14. Bundled Call Center. The Pro package includes some additional features to enable informal call center functionality such as routing strategies (round robin, longest waiting, fewest answered, etc. ), queue monitoring and notification, whisper and barge-in, wallboards and advanced reporting. Third party application integrations, such as Salesforce, SugarCRM, Microsoft Dynamics CRM, Microsoft Exchange and others, are also supported by the Pro package. Wide Variety of SIP-based Devices. The system supports popular third party SIP telephones that are pre-configured for easy provisioning. 3CX recommends phones from Fanvil, Htek, snom and Yealink, but also supports phones from Cisco, Panasonic, Polycom and other SIP phone providers. Similarly, a wide range of third party VoIP Gateways and SIP Trunking Services have been tested for reliability, though any SIP-based solution will be compatible. Web-based Management. The 3CX Management Console, accessed via Web browser, is used to manage IP phones, download new firmware and automatically update software. V14 adds new management features such as scheduled backup and restore, scheduled reports, more alerts and a streamlined interface. The PRO edition allows for a hot standby mode in which a virtual copy of the 3CX Phone System takes over during a server failure. With V14, authorized 3CX channel partners have the flexibility to offer the 3CX Phone System for Windows as an on-site deployment or as a hosted/cloud service, either hosted by 3CX (a single instance solution in which the partner rents hosted instances from 3CX) or hosted in the partner’s own facility for more control (a multi-instance solution in which the partner can install up to 25 instances on a single Windows server). Using the same software stream for both premises-based and cloud-based deployments is an advantage for both channel partners and end-customers due to the common user experience and management, but additionally, this opens up new opportunities to meet unique customer business challenges. Multi-site customers, in particular, can flexibly mix and match cloud and on-premises 3CX solutions within their corporate network. As an example, customers that have a 3CX Phone System deployed at some sites can subscribe to the 3CX hosted/cloud service when opening a new office location. This not only minimizes the upfront capital expenses, but also allows the quick integration of a new office into the existing network. 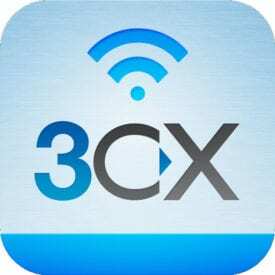 Down the road, 3CX hints at plans for additional hybrid cloud solutions, video improvements and other new capabilities. Stay tuned.